Joey has a limited menu. Despite my best efforts, he will only tolerate three vegetables (cucumbers, corn, and carrots), and the current staple of his diet is what he calls a “toasted cheese sandwich”. Invented by his uncle, it consists of two slices of toasted white bread with one slice of cheese (note: two slices of cheese is unacceptable). My dear hubby recently emerged from the store with an alternative brand of cheese slices, as our usual was out of stock. I knew at once that we were doomed to failure. I made the sandwich happily, as if nothing was amiss, and placed it in front of Joey. After just one bite, he declared that the cheese tasted “fuzzy” (yes, “fuzzy”) and chose the starvation option in our “Eat It or Starve” kitchen policy. Joey’s cheese sandwich has to be made precisely to plan, and there is no work-around. In Matthew 26, Peter was sure that he knew the plan, and he was sure of himself. Jesus had stated and restated what was about to happen to Him (Verses 2, 11-12, 21, 31), but Peter and the disciples just couldn’t wrap their heads around anything Jesus was saying. And Peter was just audacious enough to think that he could protect Jesus from death, and just foolish enough to think that Jesus needed his protection. Worse still, Peter thought he was strong enough to face any fear, fight any temptation, and defeat any foe. He thought that Jesus was counting on his strength (Jeremiah 17:5, 7, II Corinthians 12:9). But instead, Jesus was counting on Peter’s failure (Matthew 26:33-35). So often, we convince ourselves that God’s plan and purpose for us boils down to one moment, one choice, or one decision on our part. We tell ourselves, “If only I had done this…” We torture ourselves trying to understand every last detail of God’s plan. And instead of moving forward in faith, we freeze when we don’t think we have enough to go on. From his inability to stay awake in the garden, to his misguided swing of a sword, to his three-peat denial of Jesus (Matthew 26:40-41, 51-54, 69-75), the night would prove that Peter had nothing to back up his bravado. And yet, this same night would accomplish everything that God intended, in spite of Peter’s failure. Prophecies would be fulfilled, salvation’s plan would be furthered, and Peter’s faith would be forged – not in his own strength, but in the plan and purpose of the Almighty (Matthew 26:26-28, 56, I Peter 5:10). You don’t have to figure it out. You don’t have to be the strong one. You don’t even have to get everything right (and trust me, you won’t – Proverbs 24:16). 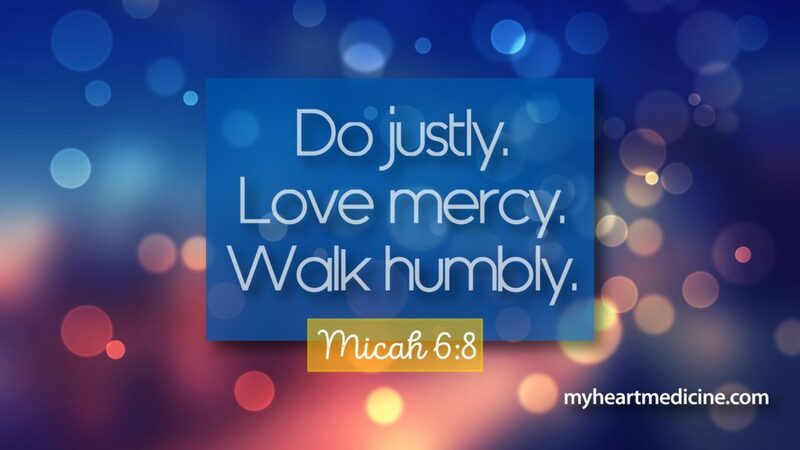 As Micah 6:8 says, you just have to do justly, love mercy, and walk humbly with God. Stick close to Him. Follow His Word and follow His lead, and He will take care of the rest – even when you fail. Outside of salvation, there is no one moment that will make or break God’s plan for you, and to think that God’s plan hinges on our wisdom and strength is pride at its most poisonous. In truth, God is forever working around our shortcomings (Matthew 6:25-33, Philippians 1:6, 2:13, Hebrews 11, 13:20-21). When we are weak, He is strong, and His grace is sufficient. Satan wants you to believe that if you miss the next step or take a wrong turn, all will be lost. I submit to you that you have missed more steps and taken more wrong turns than you know, and God’s grace has covered it all. Peter thought he had come so far, but the work that God would do in him and through him was just beginning. And so it is with you and me. Our flesh will fail, this fallen world will trip us up, and we will overestimate our own importance over and over again (Psalm 73:26, Romans 12:3, I Corinthians 10:12). But God is a Master at the work-around. He takes the broken pieces, the ashes, and the sinking sand of our best attempts and somehow works them into His perfect plan (Isaiah 61:1-3, Jeremiah 29:11-13, Romans 8:28). This does not depend on you. YOU depend on HIM. Settle into His sovereignty. Accept your inability. And praise God for His work and the work-around. What fight are you fighting in your own strength today? What is the one moment or the one move that everything seems to hinge on right now? Give it to God. Let Him accomplish His will and His work – in that situation and in YOU. Sure does make me think back to all the times and things I was unaware that Jesus was working around ,ME ! Thank You Jesus !! I consider myself as a ” Christian In Training ” There is so much to know and I am thirsty for the knowledge ,everyday I learn something new . I love this newsletter . It is a tremendous help in my learning. I am grateful to my Daughter for having my name put on the mailing list. I look forward to it !! Thank You. Christine, I’m so glad we can keep learning God’s Word together. Thanks for encouraging me, and I love your wonderful daughter. As always, you have touched my heart with your insights on His Word… thanks ever so much. Thanks so much, Sherry. You are always a blessing to me. Hope to see you at Odosagih in August .